Katharine Briggs (Katharine Cook Briggs; 2 January 1875 – 10 July 1978) is the co-creator of the personality type test Myers-Briggs Type Indicator which she created together with her daughter. The test makes Carl Jung’s theory about psychological types understandable and practical and is today one of the most widely used self-assessment tools in the world. Katharine Briggs was born in the United States. In this time, traditional women were not encouraged to study, but her parents did encourage her to learn about everything she was interested in because her parents knew the value of education for both women and men. She was home-schooled by her parents before she went to college. 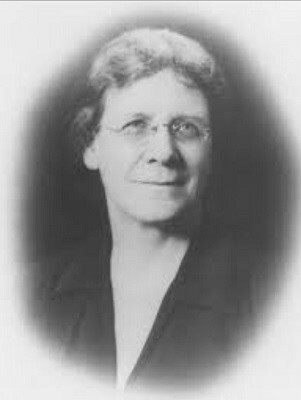 Katharine later studied agriculture and worked as a teacher. After her study, she married Lyman James Briggs and got her only daughter, Isabel. She was an example for other women because, at that time, it was believed that if women would study too much, it could negatively influence the ability to give birth. Katharine Briggs always had a passion to learn new knowledge. She did so by reading and writing continually about subjects she was interested in such as education and child-rearing. She additionally created a vocational test for children because she believed their future job might reflect their happiness. While she read about traditional child-raising methods, Katharine Briggs realized her opinion about these methods differs enormously. She was additionally unsatisfied about the way her daughter was educated in school. Katharine believed that Children are continually curious and that education stimulates this curiosity. Katharine Briggs next educated her daughter herself by letting her daughter read and write about every topic she liked. Katharine Briggs has written several essays about child raising of which two have been published. “Meet Yourself Using the Personality Paint Box” was published in 1926 and “Up From Barbarism” was released in 1928. Katharine Briggs was still actively writing and reading next to her role as a mother and wife. When she wrote more about fiction, Katharine became more interested in common personality types and behaviors to write about in her stories. In addition, Isabel was about to marry a man whose personality she did not understand which consequently increased her interest in discovering different types of characters. Her research into different personality types kept ongoing. Katharine Briggs even tried to make own theories, unfortunately without success. She could not find research that was related to her work until she read Carl Jung ’s book Psychological Types in 1923. She immediately contacted Carl Jung, and fortunately, they collaborated by sharing their theories. Katharine was next able to use Carl Jung’s theories in her research in which she continued to attempt to identify the different personality types. When Katharine Briggs’ granddaughters grew older, her daughter had more time to get involved in meaningful work. Isabel Myers got interested in a psychological test which was designed to match the type of work with personality characters. Since then, Katharine Briggs started a collaboration with her daughter to research the different personality types. Isabel helped her mother by finding participants to collect data and she later also transferred all data that was collected for analyzing. As a result, they created the Myers-Briggs Type Indicator. Publications and Books by Katharine Briggs et al. 1987. Myers-Briggs Type Indicator®(MBTI®). CA: Psychologists Press Inc.
1977. The Myers-Briggs Type Indicator: Form G. Consulting Psychologists Press. 1976. Myers-Briggs type indicator. Palo Alto, CA: Consulting Psychologists Press. 1943. Myers-Briggs Type Indicator. Palo Alto. 1928. Up from Barbarism. The New Republic. 1926. Meet Yourself: How to Use the Personality Paintbox. The New Republic. Alexander Zeeman is Content Manager at ToolsHero where he focuses on Content production, Content management and marketing. He is also an International Business student at Rotterdam Business school. Currently, in his study, working on the development of various management competencies and improving operational business processes.